Happy Monday, friends! Another catch-up blog post to show you how to create a fresh-faced and glowy makeup look using only affordable skincare and makeup products (Oh! Plus affordable makeup brushes and sponges). As mentioned in this blog post, I’m catching up on posting my most recent YouTube videos on the blog because I’m able to add a bit more information about the video that I might not have included in the video itself i.e. what I’m wearing (fashion), direct links to stockists, promo details etc. Today’s post is a full face makeup tutorial taking you through some affordable skincare products from NIVEA, as well as drugstore makeup products to achieve a very natural makeup look with a healthy glow (plus NO falsies). 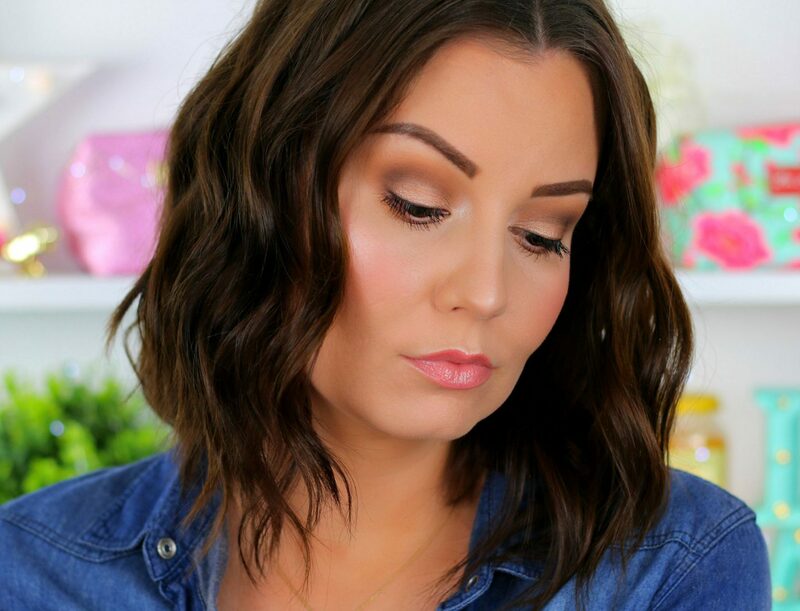 Grab some snacks, and let’s get started with this quick & easy makeup tutorial! If you liked this video, give it a ‘like’ and if you enjoy my content, please subscribe to my YouTube channel. Also, remember to watch in HD (720p or 1080p) – all you have to do is click on the gear icon at the bottom right corner of the video screen and choose 720p / 1080p. CATRICE Camouflage Cream – Wake Up Effect (buy here) → Currently on sale! CATRICE Lip Cushion – Rather Be At Coachella (buy here) → Currently on sale! Real Techniques Setting Brush (review | buy here) → Currently on sale! Real Techniques Blush Brush (review | buy here) → Currently on sale! Real Techniques Essential Crease Brush (review | buy here) → Currently on sale! essie – Marshmallow (buy here) → Currently on sale! I hope you have an amazing and productive week! I’ll see you again tomorrow! Disclaimer: The NIVEA Q10PlusC Anti-Wrinkle + Energy part of this video is in sponsored collaboration with NIVEA South Africa. can we purchase the silicone primer locally? where can we purchase the silicone primer….. locally?